Abingdon, VA Thursday, Jan 24, 2019. Food City officials announced today the expansion of their new same-day delivery service into four new market areas: Etowah, Athens, Blaine and Maynardville, TN. The program is made possible through a joint partnership between the local retail supermarket chain and Instacart, a nationwide on-demand grocery delivery service. 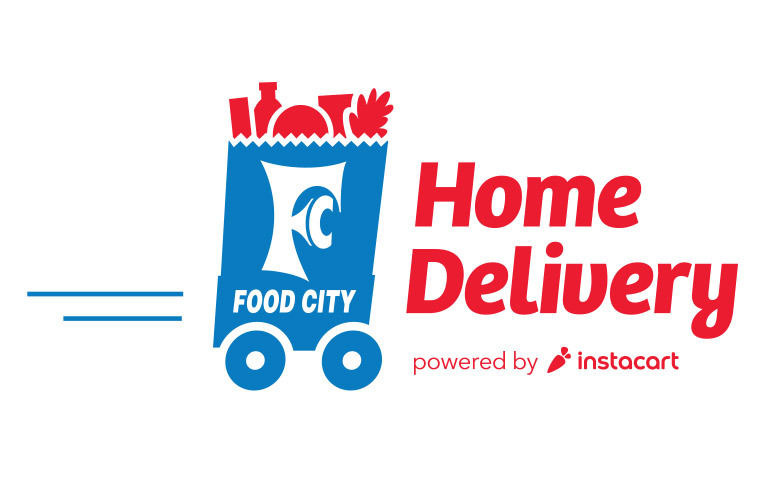 To take advantage of the convenient new service, shoppers simply need to visit the website at foodcitydelivers.com or download the Instacart App to fill their virtual carts with their favorite items, including fresh produce, top quality meats and everyday essentials. Their order will be delivered to their doorstep, often in as little as an hour. During the on-line checkout process, customers will be prompted to enter their Food City ValuCard number to take advantage of added savings and ValuPoints, and choose a delivery window ranging from within one or two hours, up to five days in advance. Instacart shoppers will do the rest. The new service, now available in 87 locations provides Food City shoppers with the flexibility to continue to receive the top-quality products they enjoy when shopping in person, with the added convenience of same-day delivery straight to their doorstep. Headquartered in Abingdon, Virginia, K-VA-T Food Stores (Food City’s parent company) operates 130 retail outlets throughout southeast Kentucky, southwest Virginia, east Tennessee, Chattanooga and north Georgia. Instacart helps people cross grocery shopping off their to-do lists with just a few clicks. Customers use the Instacart website or app to fill their virtual shopping cart with items from their favorite, local stores and Instacart connects them with shoppers who hand pick the items and deliver them straight to their door. Founded in San Francisco in 2012, Instacart has quickly scaled to over 210 markets and partnered with retailers across North America, including popular national chains as well as local, regional grocers. By combining a personal touch with cutting-edge technology, Instacart offers customers a simple solution to save time and eat fresh food from the most trusted grocery brands. Instacart is the only grocery service that can meet today’s on-demand lifestyle by delivering in as little as one hour. First delivery is free at www.instacart.com.